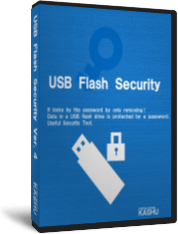 This page is to download USB Flash Security personal edition. After install the setup file downloaded, run "USB Flash Security" and install security to USB drive. If this is your first to use this software, please read Outline, How to use and License first. This page can help you to select the edition. You can download the old version here. The specification and system requirements may different from the contents in the homepage, please confirm the help and readme of the old version. You can download the "Release tool" here, if you deleted it by careless and can not copy it by the software installed in PC. To use these "Release tool", your USB drive should be secured by "USB Flash Security".